OCEANSIDE — Oceanside Little League teams kick off the season with Opening Day ceremonies over the next two weeks. First day events rally teams together, spark enthusiasm for the season, and raise funds. Oceanside National Little League traditionally starts the season with the earliest Opening Day. Festivities include rousting speeches by city officials, the Marine Color Guard, and attendance by city firefighters and police. A prideful moment in the ceremony is the recitation of the Little League Pledge. High school players often lead the group in saying the pledge. Then comes the opening pitch, and first games between league teams, which range from T-ball to juniors. Opening Day ceremonies also recognize last year’s winning teams, and volunteers who make it all happen. Fundraising is done through carnival games and food sales following the opening ceremony. Oceanside Valley Little League traditionally holds a baking contest, which recognizes the best and most spirited deserts. City leagues range from about 200 to 350 players, with Oceanside American Little League usually having a smaller roster than fellow leagues. The baseball season lasts through July, and culminates with top national teams competing in the Little League World Series. During the season healthy competition is encouraged, and fun is heralded. Oceanside strongly supports youth athletics. The city improved fields and reduced the cost for field lights in 2015. Sports teams are routinely recognized at City Council meetings for their achievements. To start the 2017 season Oceanside National Little League will celebrate its Opening Day at Martin Luther King Park Feb. 25. Oceanside American Little League opens at Ron Ortega Park March 4. 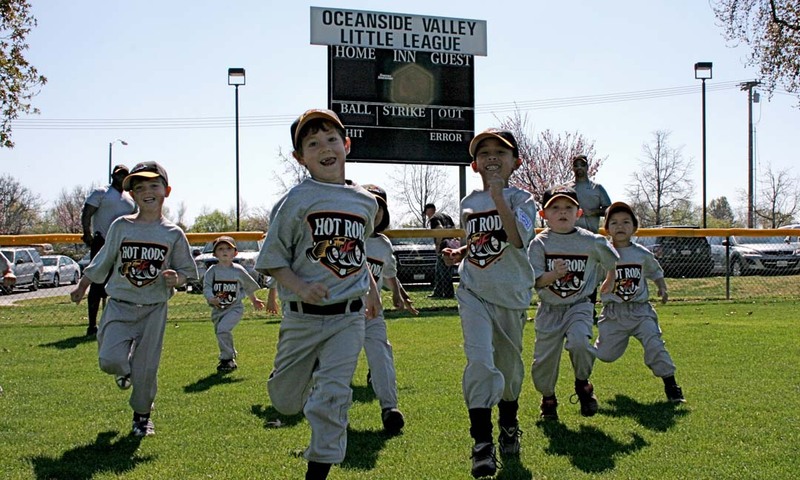 Oceanside Valley Little League opens March 4 at Melba Bishop Park. League websites have updates on rain delays.